It is believed that one can feel the constant presence of Goddess Lakshmi at five places on earth. She constantly resides in these places. The centre line on the head of a sumangali woman’s parting of the hair. The backside of a cow. Know the reason why two white elephants are depicted along with Goddess Lakshmi. Padmamalini form of Goddess Lakshmi resided with the demons but she abandoned them. 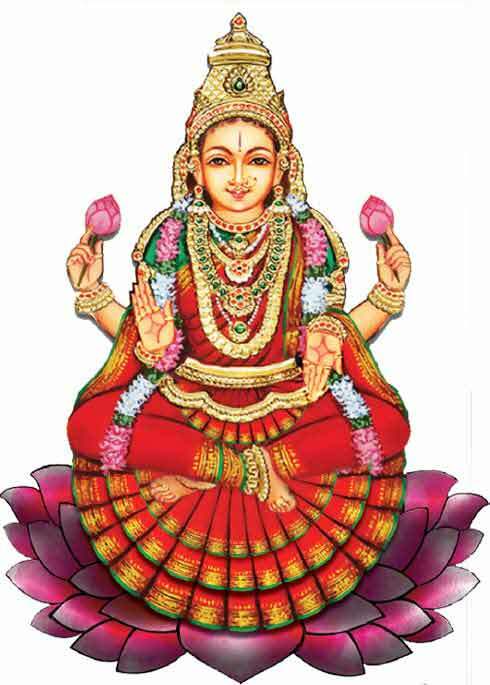 Goddess Lakshmi resides in the chest of Lord Vishnu and hence He is known as Srinivasa. Rare Coconut with only Two Eyes is associated with Lakshmi in Hinduism. Goddess Lakshmi cursed Vishnu and as a result, He was born as Hayagriva - with horse head.